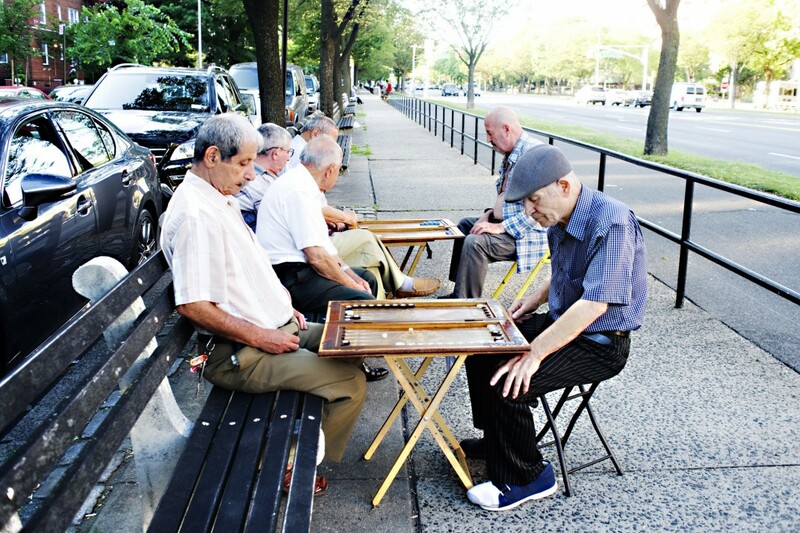 Men playing backgammon on Ocean Parkway in Kensington. When I made an offer on a one-bedroom co-op in Kensington, Brooklyn, about 5 minutes after walking through its door, it was my first time in the neighborhood. 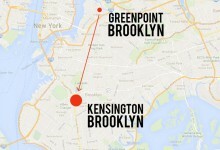 I didn’t know anyone who knew anything about Kensington, let alone lived there. 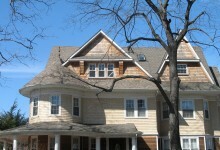 But after having visited dozens of listings during a two-year search, I knew the apartment was the right place for me. It was twice the size of the space I had been living in—a rent-stabilized, fifth-floor walk-up in Chelsea. The Kensington apartment had east and west exposures so it would be sunny all day; and it came with a recently renovated kitchen that also had a custom table with a tiled top that matched the counter and backsplash. And closets. Three large closets. My former apartment had half of one. Even more compelling: The price had dropped by $30,000 the day before I saw it. There were little things that needed fixing, like the ugly drop ceiling in the bathroom that I later ripped out and the numerous cracks that it hid. Otherwise, I was in heaven, with room to breathe. My only major concern was the neighborhood. Even though the building was a five-minute walk to Prospect Park, it took about 45 minutes on the F train to get to downtown Manhattan, where I worked and played. There were a couple nights those first few months where I fell asleep on the way home, only to wake up and find myself at Avenue U, nine stations past my stop (once with having had my wallet lifted while I dozed). The one major grocery store in the area was terrible, and even though the 24-hour fruit stand and deli had terrific choices for breads, jams, and Eastern European sausages, there was no place to buy other meats or fish. And the post office was arguably the worst in the city. Though I loved the diversity of Kensington, and the ethnic restaurants and shops nearby on Church and McDonald avenues, including ones from Russia, Poland, Bangladesh, and Mexico, they weren’t magnets for getting friends to make the trek out to visit. There also weren’t any places to hang out. No coffee shops to read or write in. No sit-down restaurants with alcohol service and good lighting. No decent bars (Denny’s was uninviting and Shenanigan’s was beloved by too many alcoholics—plus a bartender admitted once that they used bootleg booze). I’ve since married and my husband moved into my one bedroom—which is currently cramped beyond comfort as I also now freelance and have to have a home office. I no longer have the closets all to myself. And we have to carefully plan our mornings on days I work in Manhattan as the bathroom fits just one. Speaking of which, the bathroom walls and ceiling continue to crack and need repairs every couple years. I just re-glazed the tub only to have it start to peel three weeks later. The layout wastes precious square footage with a long hallway and center foyer that doesn’t serve any purpose other than to hold my husband's hundreds of books and collectible science fiction action figures (which, don't get me wrong, I love about him—he could have worse habits) and as an entry space for the living room, bedroom, and kitchen. There's no room for a dining table, and the kitchen seats only two, so we can't entertain guests. And I’ve come to really hate the kitchen. The floor tiles are made of vinyl; they’ve turned a sickly yellow, and the cat has left scratch marks all over them. The fridge and stove need replacing. And I’ve noticed just how shoddy a job the contractor did on building and installing the sink, cabinets, counter, and backsplash. There are smears of grout on the wall and corners of the cabinets, which don’t quite match as they should. The tiles are spread too far apart so the counter surface is uneven, and you have to be careful how you place glassware. Plus, the grout is hard to keep clean. The previous owner was so proud of this apartment that she would ask how it was each time we ran into each other on the street (she moved three blocks away). I would smile and say fine. But after a few years, I finally told her I was gut renovating the kitchen and bath. (It was wishful thinking; I couldn’t afford it yet.) She asked if she could have the tiled table, if I still had it. Gladly, I said. When she came to pick it up, she took pictures of the kitchen and sighed heavily. She still thought it was perfect. Kensington, on the other hand, has blossomed. Friends discovered its bargain prices and became neighbors, and new businesses began to move in. The good news is that this has not necessarily displaced the original businesses—all but two of my favorite ethnic shops and restaurants are still around. And the G train was extended to Church Avenue! 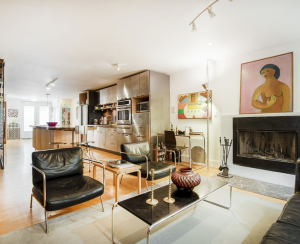 We're in the nexus of where Windsor Terrace meets Kensington, and are only three blocks from the Prospect Park South and Ditmas Park border of Coney Island Avenue. We get the best of all four neighborhoods. Yes, I invested well—prices have soared since I purchased. But we’ve also found the neighborhood has become so desirable that we can no longer afford it. 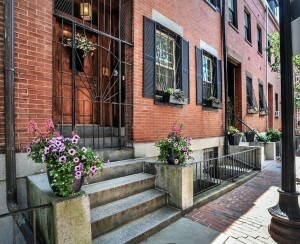 We are on the lookout for a prewar two bedroom, two bath in the same area, but they rarely come on the market, and when they do, they’re priced just beyond our budget. 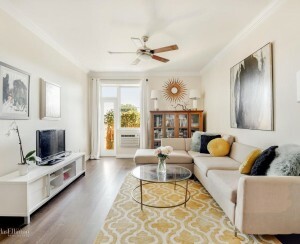 So we spend our weekends trying to jettison as much stuff as possible, and sock away our savings for that chance moment when the right space at the right price hits the market, but keeps us close to the neighborhood I consider home. I plan to look more carefully and take a little longer before we make an offer next time.